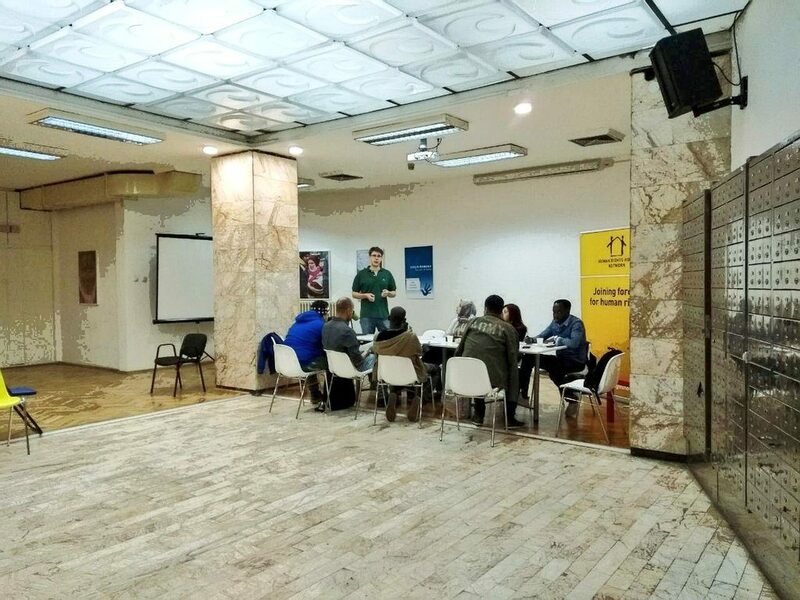 With the support of the Commissariat for Refugees and Migration of the Republic of Serbia, the Belgrade Centre for Human Rights started an educational program for persons who were granted refugee status in Serbia on Serbian culture, history and constitutional order. The program is envisaged by the Decree on the manner of inclusion in the social, cultural and economic life of persons who have been granted the right to asylum. In practice, this type of training is being implemented for the first time and represents the first such official program in our country. The program lasts 30 hours and covers the fields of geography, history, culture, human rights and constitutional order. For persons who will attend and who do not speak Serbian, interpretation into Arabic is provided. In addition to training in the classroom, thematic visits to museums and institutions are envisaged. In the first block of classes it is foreseen that refugees will be introduced to the geographical location of Serbia, as well as the history of the Serbian state from beginning to the present day. Refugees will be acquainted with history also during the course of the visit to the Belgrade Fortress, the Church of Sarint Sava and the Residence of Princess Ljubica. It is envisaged that refugees will learn about customs and folklore in Serbia in the second block, within which a visit to the Ethnographic Museum is planned while the introduction to art is foreseen during a visit to the National Museum. In the last block of lessons, refugees will be introduced to the historical development of human rights in the Republic of Serbia, when they will learn about the basic rights in terms of work, gender equality, access to courts and the role of the media in a democratic society. The program will be concluded by discussing the role of the European Union and the accession process from the perspective of Serbia. The basic part of the training is conducted in the House of Human Rights and Democracy.